We’d been searching for a Judge Cash mare to cross 99 on for quite some time when this little gem came up for sale. We’ve been long-time fans of the Judge Cash horses. We like the structure and speed of his offspring and they all seem to want to TURN! Merri D Judge is correct and nicely proportioned. She’s got a great front end that v’s up as nice as you could ask for, a real clean neck & throatlatch. The bottom side of her pedigree intrigued us as she is out of a daughter of Jazzing Hi Si 111, he was a son of Merridoc that ran out over three hundred thousand dollars in winnings at the track. Merri D Judge also has such greats as Alamitos Bar, Go Man Go and Indian Hemp backing her pedigree. Yes, 99 is out of a daughter of Merridoc, here’s our thinking on this…Successful line breeding often uses the objective of “ returning the blood of the sire’s dam”. 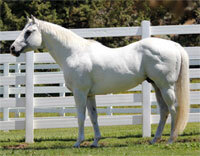 The idea is to breed a stallion to mares carrying the blood of the Stallion’s dam. 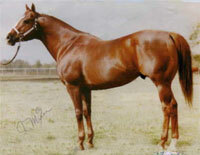 This is done to increase the influence of the female side of a stallion’s pedigree on the foal. It goes back to the old saying, “great sires have great mothers” There was a really good article on this in the Speedhorse Feb 3/2012 issue. Anyhow, we have long believed that it is the bottom side of the pedigree on 99 that makes him stand apart from many other Strawfly sons. We can’t wait to see what him & “Merri” come up with! 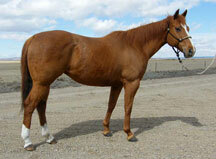 She is a Futurity, Derby and now a Rodeo (amie) money earner, with over $10k in earnings.